Keep cabinets and drawers off limits to curious little ones with the 9-Piece Complete Magnetic Locking System by Safety 1st. 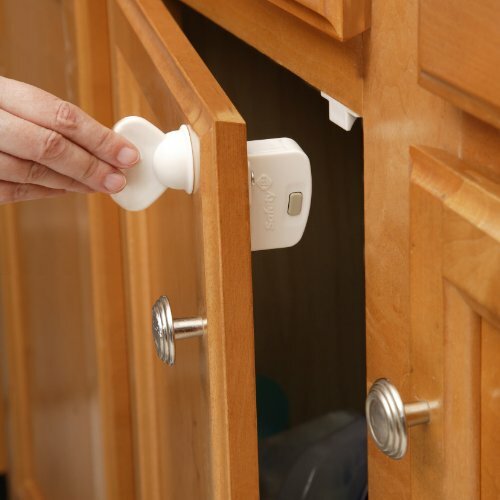 Simply install the lock inside cabinet or drawer and then use the powerful magnetic key to open when needed. This set includes 8 locks and 1 key, allowing you to secure multiple cabinets and drawers. The magnetic key is easy to store high up and out of reach from children and the locks install inside cabinets and drawers, keeping them out of sight.